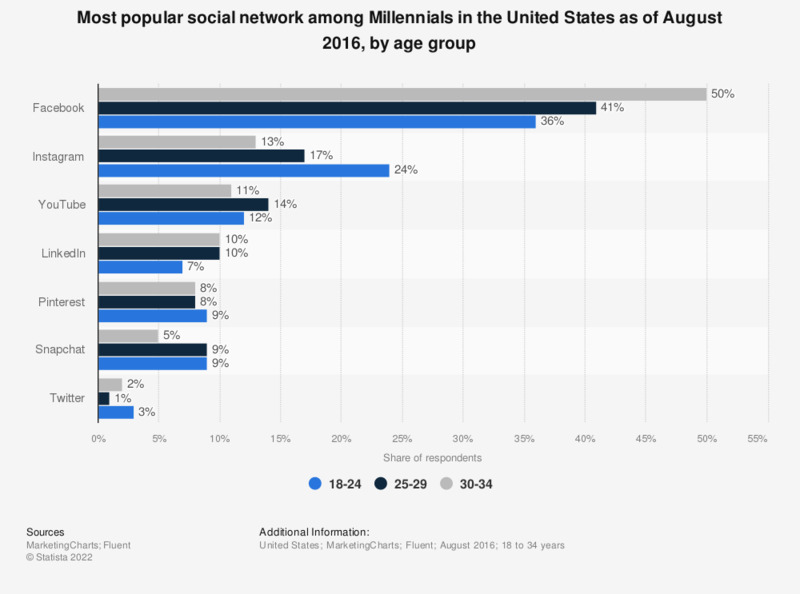 This statistic presents the most popular social network among Millennials in the United States as of August 2016, by age group. During the survey period, 24 percent of respondents between 18 and 24 years old stated that they used Instagram the most. Original question: "Which of the following social media networks do you use most?"